You now know my love for baking. Isn’t it fun? To create cakes, amend recipes and try to create your own? Of course there is a lot of trials and errors. As a matter of fact, results are not always what we expect, but that is part of the learning experience, am I right?! 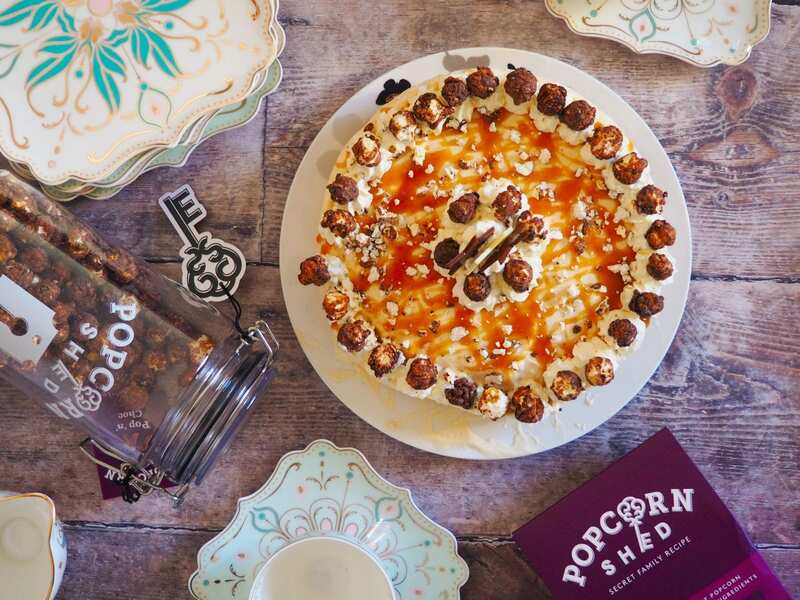 Not so long ago, Popcorn Shed worked with me on creating a salted caramel popcorn cake. However, this time, they sent me chocolate popcorn which I used to make a no-bake chocolate popcorn and caramel cheesecake! So here is the recipe! 1. The popcorn base. Melt 25g of butter and 200g of marshmallow in a pan over medium heat. Then, pour the melted marshmallow over the 80g of popcorn in a bowl. Mix until popcorn is all glued together. 2. Spray your cake tin with non sticky oil or cover in flour. Pour the sticky marshmallow and flatten to create a round base. Set aside in the fridge. 3. The cheesecake. In a bowl, using an electric mixer, whisk together the cream cheese, vanilla, icing sugar and caramel until smooth and lump free. 4. Then, pour into the mix the double cream and continue to whisk for a couple of minutes until it is very thick and mousse like. When finishing mixing, it should hold itself like an Italian meringue would. 5. Spread over the popcorn base and leave to set in the fridge 5 to 6 hours. Or overnight to make sure it sets. 6. The caramel sauce. Bring to a boil over medium heat 225g brown sugar, 125g butter and 60ml milk. Cook until it thickened then remove from heat. Using a tea spoon, drizzle the caramel sauce on top of the cake. Put the remaining in a jar for later use. 7. The topping. In a bowl, whisk together with an electric mixer 150ml whipping cream, 2 tbsp icing sugar and vanilla extract. Once solid, pour into a piping bag. Pipe all around the corner of the cake. Pipe in the middle. 8. Add popcorn on top of each cream mount. Shred popcorn in a plastic bag. Sprinkle on top of the cake. Et voilà! Ready to eat for tea time! So what do you think? Using popcorn and marshmallow as the base of the cake? And the whole cake idea? Will you try it? 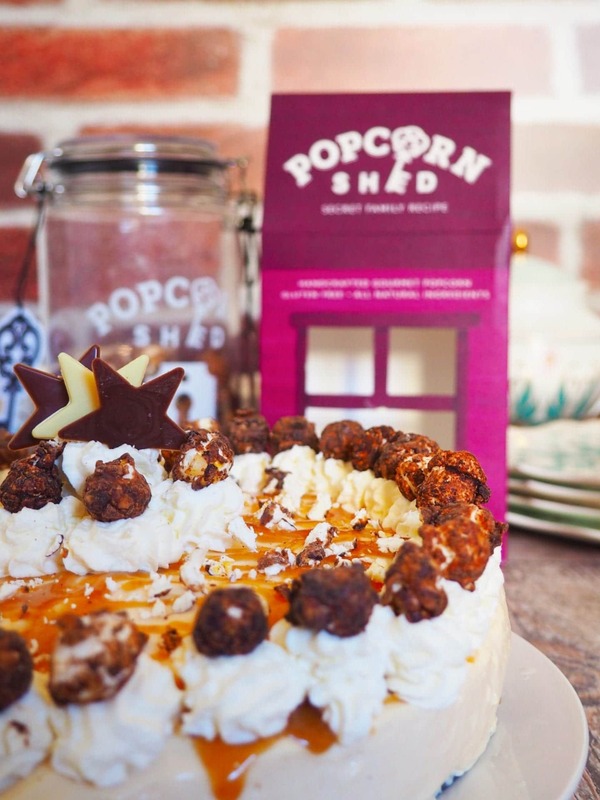 Have you ever tried Popcorn Shed popcorn before? What did you think? Thanks a lot for stopping by! I hope you liked this post. *I was sent the popcorn as a gift but all opinions remain my own. 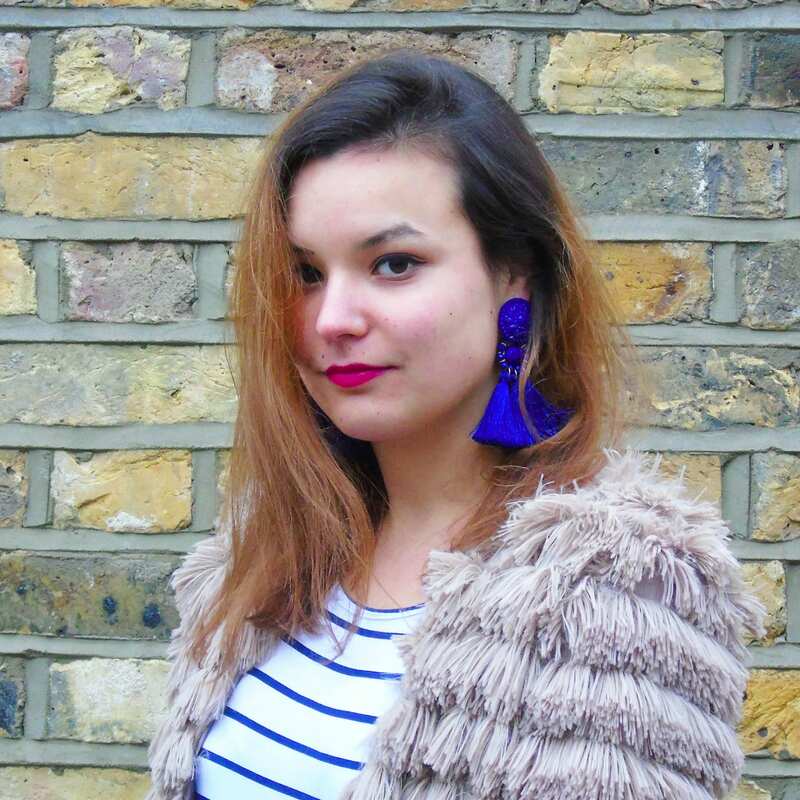 Next Post New Year, New Dress, New You… Really? Ahh, this recipe is the coolest thing I’ve seen all day! Popcorn and cheesecake! That sounds like a match made in heaven. I’ll definitely be trying this! Wow!! This looks absolutely divine😍 Thank you so much for sharing the recipe! This looks and sounds delicious! I would have never thought of using popcorn as a base, but I bet it gives it a nice twist. I will deffo have to give this one a go. Baking is fun! 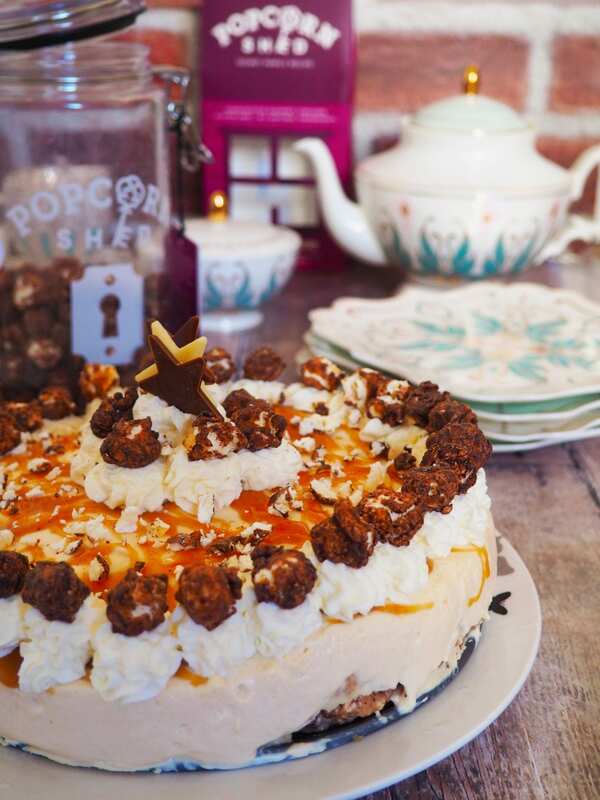 I like sound of the chocolate popcorn caramel cheesecake! It looks delicious and big plus that it’s easy to make. I know I’d be 100% in because of the marshmallows! I’d want to try this at a party! Thanks for sharing! Oh my! This looks really delicious. 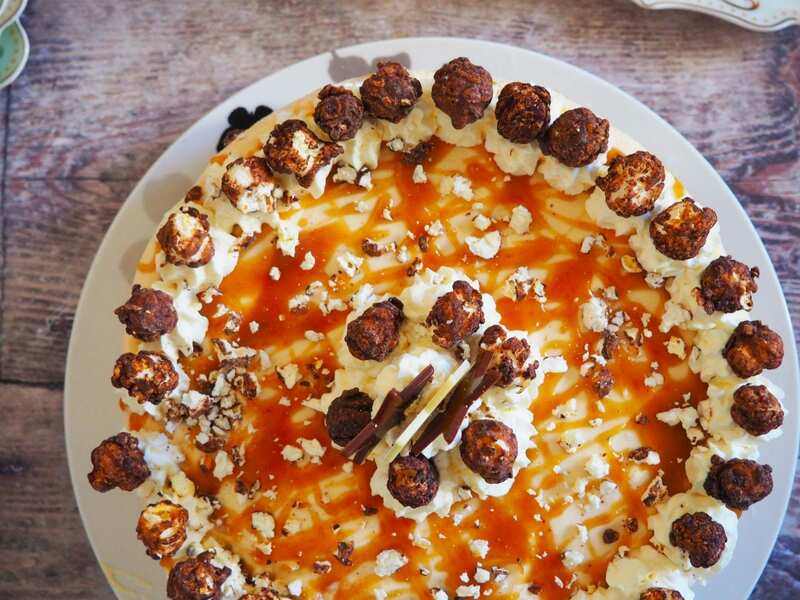 I mean…..cheesecake, chocolate popcorn, caramel……I’m craving! Oh my! I definitely want to try this..so many things I like all rolled into one! This is such a clever and delicious sounding idea! Four of my favourite words in one recipe title – I LOVE it! Goodness me that looks and sounds delicious, and is also making my teeth hurt at the thought of it haha. A definite treat, I think. This looks amazing! What a combination! Cheesecake has to be my favourite, I bet you could also do this with a baked cheesecake! Oh my gosh, this looks and sounds absolutely INCREDIBLE. I’d definitely have to restrain myself from eating it all in one go! 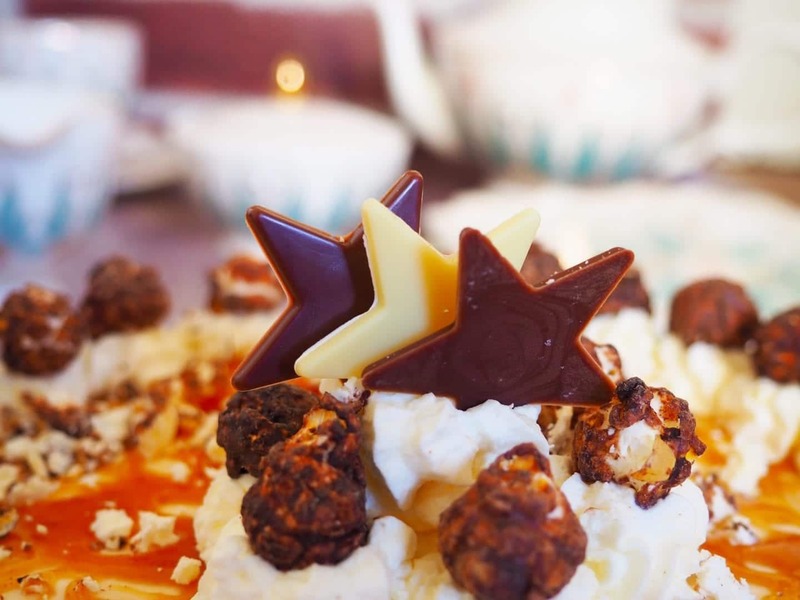 I’ve never tried chocolate popcorn but I love toffee so I’m sure it’d taste just as amazing! That looks completely decadent and right up my alley!!! 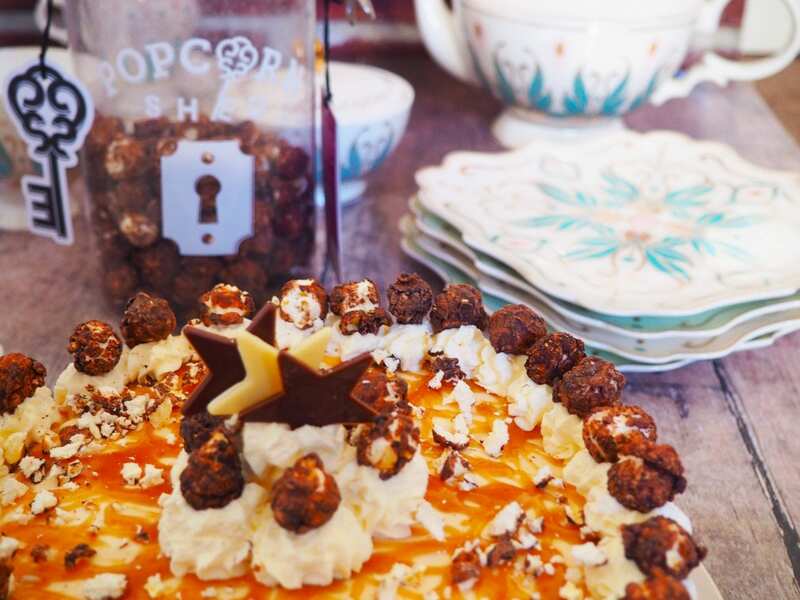 Love cheesecake, chocolate, caramel and popcorn so sounds perfect!!! This looks absolutely delicious! Im such a big fan of popcorn AND you know how much I love your baking and recipes so this is a big YES from me! Your photos are gorgeous and I will definitely be trying this out! I definitely want to give this a go! It sounds delightful! The cake looks so pretty! And I love that you used popcorn and marshmallow for the base. That’s like one of the best combinations, you can never go wrong with marshmallow. I bet my family would be all over this recipe. I will be sharing this with them for them to try. Yes please, I would love this cheesecake. It looks incredible! I’ve always loved cheesecake. Adding the popcorn would make it even better! Two great tastes in one dessert. I am drooling over this cheesecake. Nooo, this is not helping my diet!! Lol I love caramel and cheesecake and popcorn hahaha This is such a fun thing to do with a kiddo. Great idea!! I think making a popcorn crust is a really unique base for a cheesecake. And the ante gets upped by adding marshmallows to the popcorn, so now it sounds like the base of the cheesecake is a Rice Krispie treat. I am on board for ALL OF THIS!!! Oh my! A popcorn cake! What an amazing idea! I will surely try it out. It’s so ingenious and it looks so good! Wow popcorn and cheesecake. I would love to taste this fusion cheesecake dessert! Your love for baking is on its level! I mean, would I have even thought about popcorn cake? Noh! And it looks so delicious! I love it! OMG these look absolutely gorgeous! I love popcorn but had never thought of doing something like this! Unbelievable!! This is such an amazing looking cake. Very unique as well. I need to show this one to my son. haha! This is like all of my favorite things rolled into one. YUM! I’m going to try this over the weekend. This idea is great and easy to try. Looking forward to preparing this soon! This is just the kind of rich recipe my family would love! It has all their favorite hits- popcorn, caramel, cheesecake, and more! I love cheesecake and its varieties. This recipe looks easy to try at home. Thanks for that. Same herr! Cheese caked makes me happy and feel motivated plus pairing it with coffee.